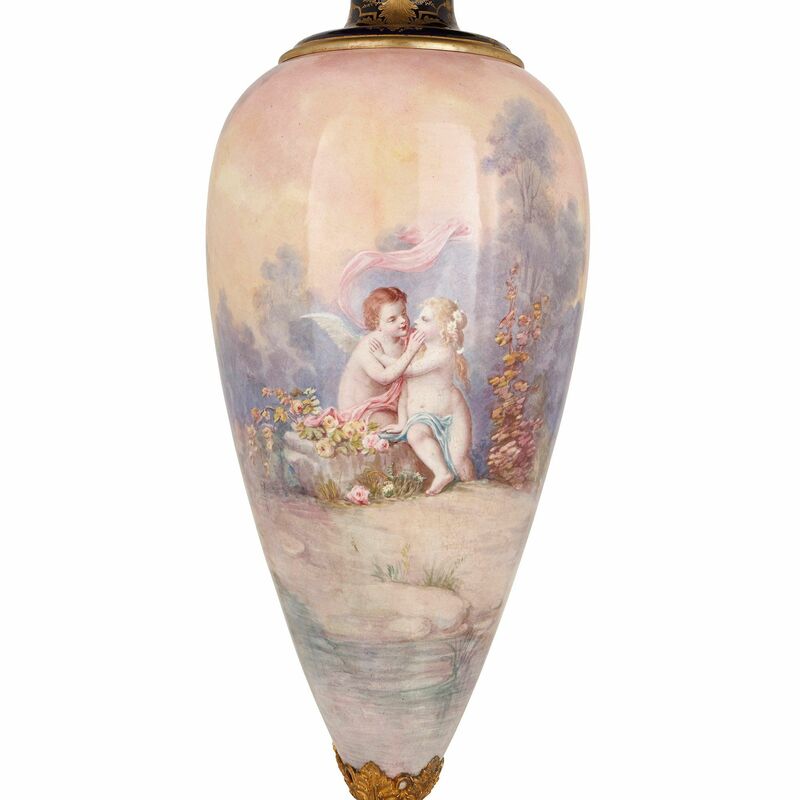 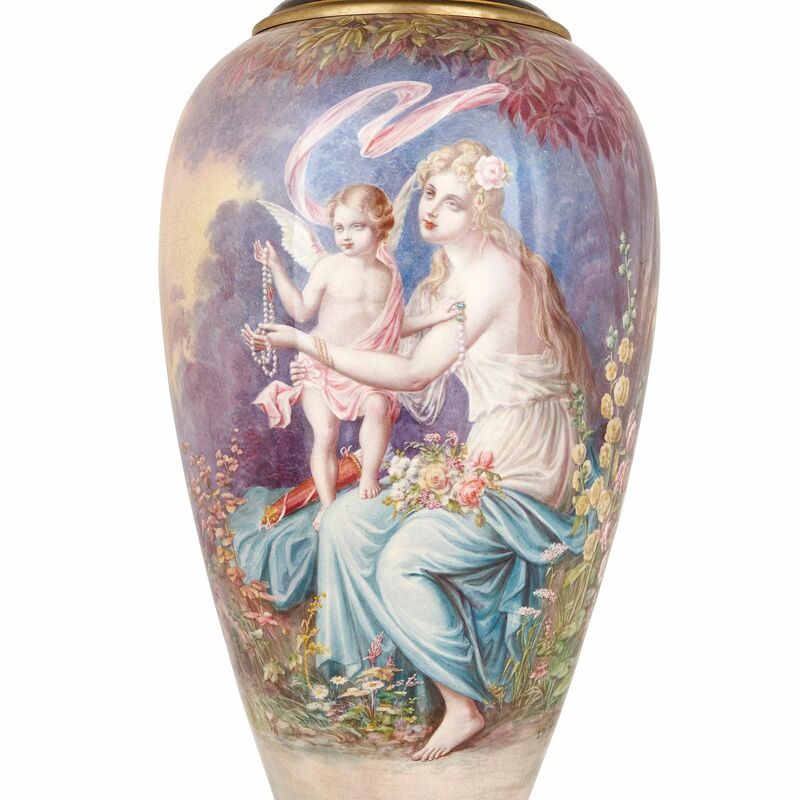 The vase takes an ovoid form, and the body is painted in light, pastel colours with a scene of a lady and winged child holding a pearl necklace with flowers within a landscape, signed 'J. 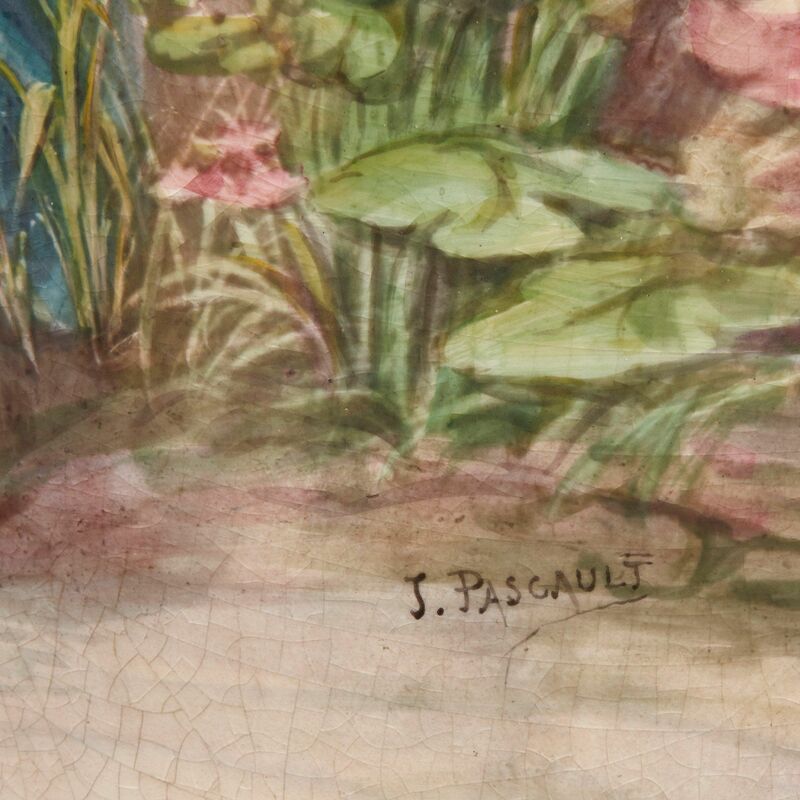 Pascault'. 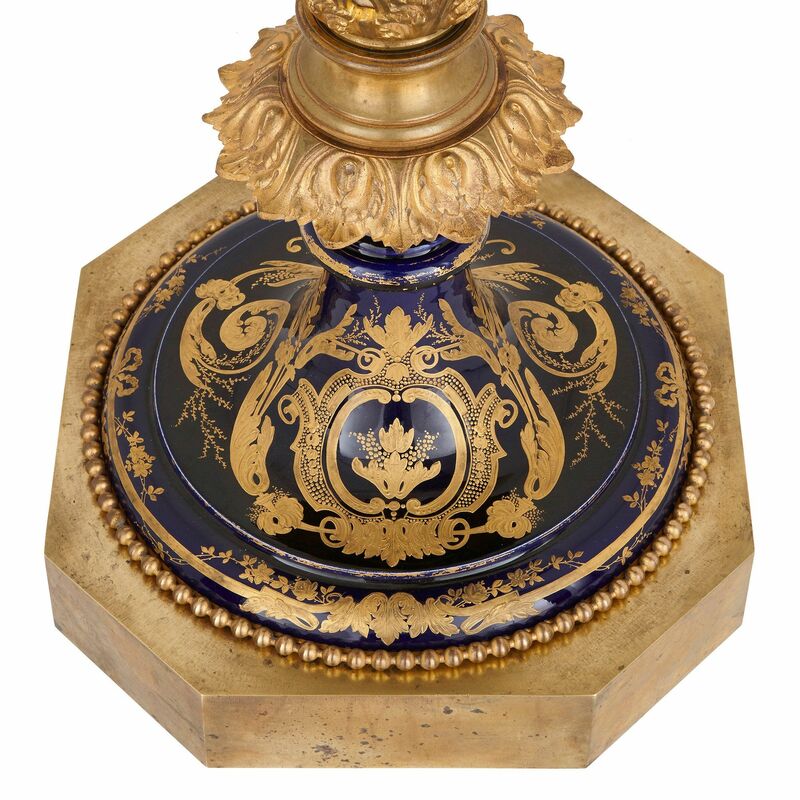 The vase is set on an ormolu base of octagonal form. 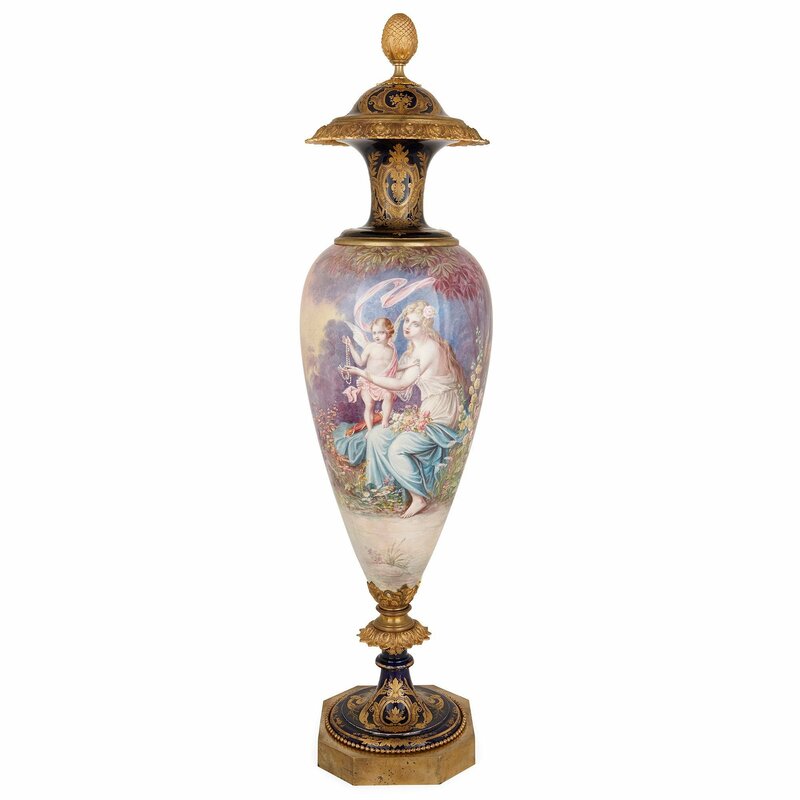 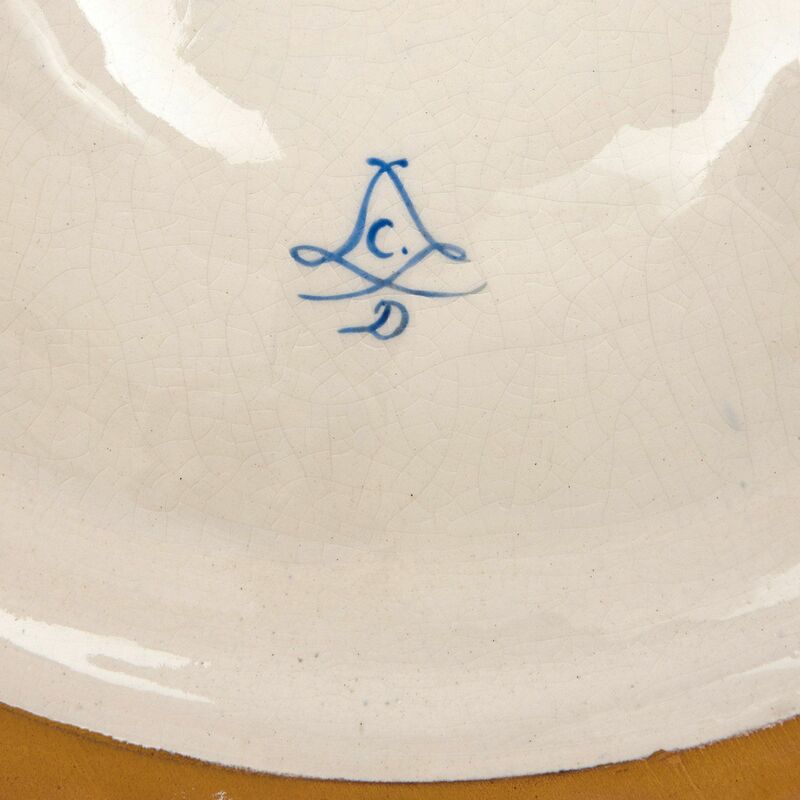 Both the lower section of the vase and the narrowing neck are formed of navy blue porcelain with fine raised parcel gilt detailing. 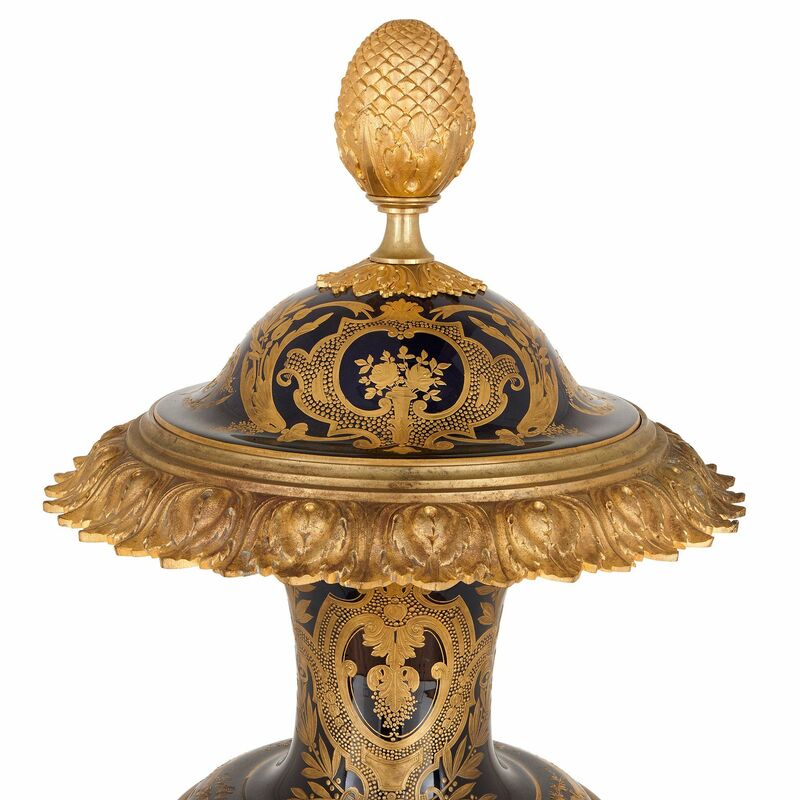 The vase is surmounted by a lid with wide cover, topped with an ormolu pinecone finial.